Memel and Memel.Global welcome visitors who wish to connect with the community or learn more about the work of our organization. Come and stay in one of the guest houses and enjoy this corner of the Drakensberg mountains. Or volunteer your skills and time to work on one of our programs. Perhaps you’d even like to invest in the community by starting a new enterprise or building a vacation home. We can help guide you in the full range of activities that can help us help Memel. Memel makes a great jumping off point for international visitors on South African vacations. Want to learn more and stay up to date on all the good things happening in Memel and Zamani? Sign up for our free, every-once-in-a-while email newsletter. Don’t worry: we won’t flood your inbox with tons of messages – just enough to let you kno what we’re doing in the Free State! 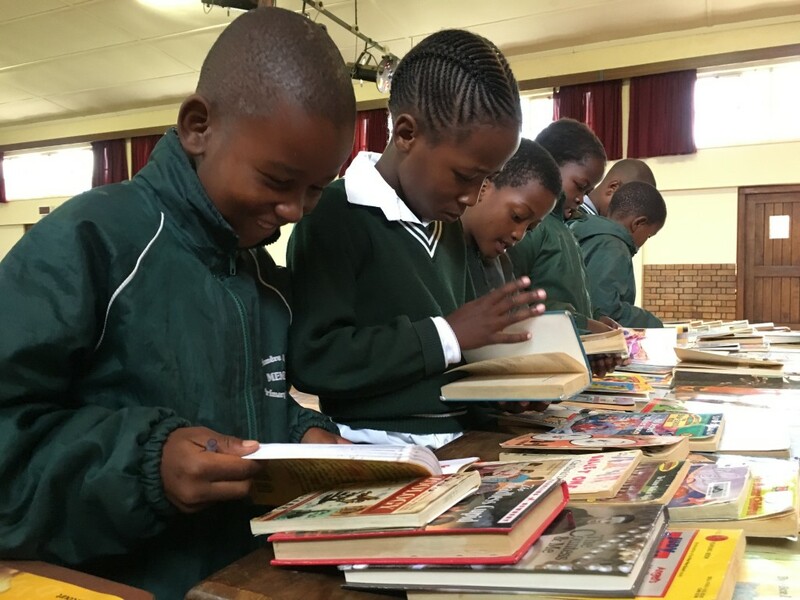 We’re always looking for new and gently used books suitable for children – and of course, financial contributions help us achieve our vision of a racially integrated, vibrant community. To make a donation online, please go to our donation page at the Cohousing Association of America. 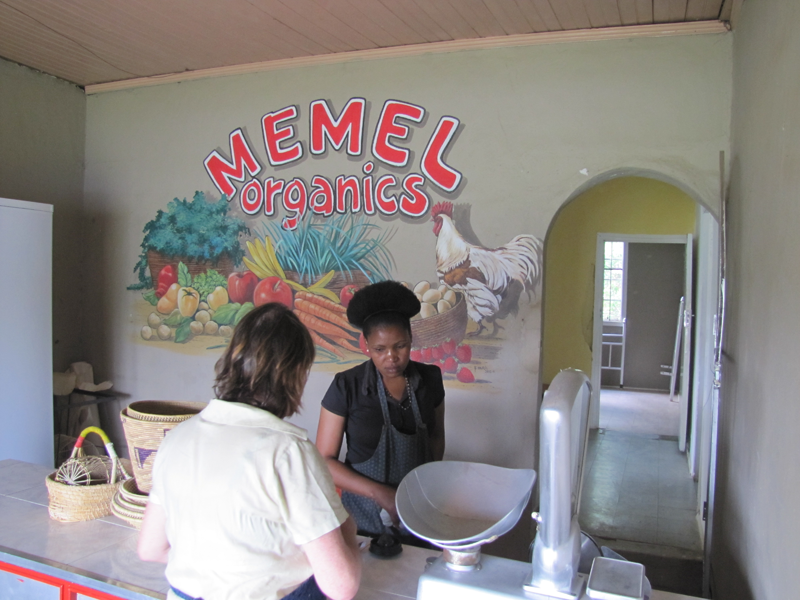 If you live in Pretoria, become a customer of the Memel Organics CSA – a tasty, healthy way to support the local economy of Memel and Zamani! And if you live in or are visiting South Africa, come spend a week (or more!) in the Memel guest house. See firsthand what we’re doing in Memel. Enjoy the Upper Drakensberg Mountains and the nearby Seekoeivlei Nature Reserve, a world-renowned wetland. Go birding and sightseeing – all while experiencing a community that’s being transformed. Be sure to stay in the guest house while you’re here. Read one visitor’s thoughts about seeing Memel firsthand. There are so many ways to volunteer in Memel and Zamani. Participate in SheWinS (especially popular for young women who’ve just finished college). Work at Memel Organics. Help build more microcommunities in Zamani. You can even support Memel.Global remotely. If you want to contribute your time and expertise, let us know! We’re currently in talks with Naropa University and other universities to offer university-approved study abroad experiences. If you’re a student who wants a meaningful study abroad experience, let us help you get approval for a semester in Memel and Zamani. And if you’re a university faculty member or administrator and want to learn more about how your institution can partner with Memel.Global, please contact us. The Memel Cohousing Community is looking for buyers. Come live with us! Studio units are available from as low as $39,000. Average size retirement cottages are in the mid-$60K range. Customization options are available. Not ready to move to South Africa just yet? Buy a home and rent it to a local black community leader! Charitable investors can buy units in the Memel Cohousing Community and rent them out at affordable rates to low-income individuals. Talk to us about how these financial deals are structured to yield benefit to the investor and life-changing benefits to the residents.